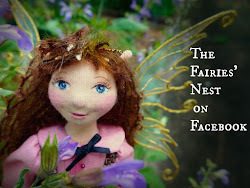 The Fairies Nest - OOAK Cloth Dolls & Fiber Fantasies: Welcome Spring!! Her tea cups are the sweetest little dreams of tininess. 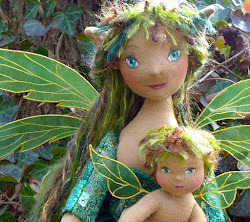 May your spring bring you many new buds of joy in your life. Happy Spring to you too! I love your bunnies! They are precious! I think Milly is my most fav. Love the dark color! Charming as all your work is! Thanks everyone! Sarahlcc, I admit to having a passion for tiny tea sets! I can't seem to resist them! 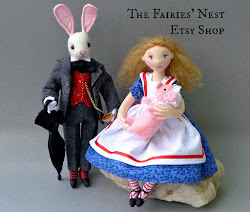 And if anyone hasn't seen Joanna's amazing dolls, they should hurry over and check out her blog today!